500 years later, Leonardo Da Vinci’s repertoire continues to produce things that amaze. The latest is a musical instrument he dubbed the ‘viola organista,’ and a Polish concert pianist has reproduced one that’s both completely functional and absolutely beautiful. Slawomir Zubrzycki reportedly put in an estimated 5,000 hours of work over three years, pouring $10,000 into the instrument, a true labor of love. 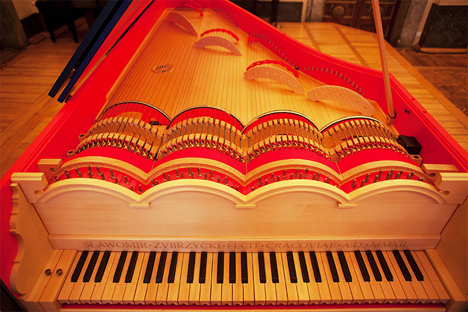 What emerged from this creative endeavor was a beautiful contraption that’s a combination piano (or harpsichord) and bowed string instrument. This Da Vinci replica’s beauty is found in both its aesthetics and engineering. It essentially takes the key work one would do on a piano, and instead of hammers hitting the strings to produce sound, four spinning wheels covered in horse hair do the work. It’s meant to mimic the technique one uses on a bowed string instrument. Zubrzycki pumps a pedal to make the wheels turn and when the keys are played, the strings press onto the wheels “emitting rich, sonorous tones reminiscent of a cello, an organ and even an accordion,” according to the Hindustan Times. 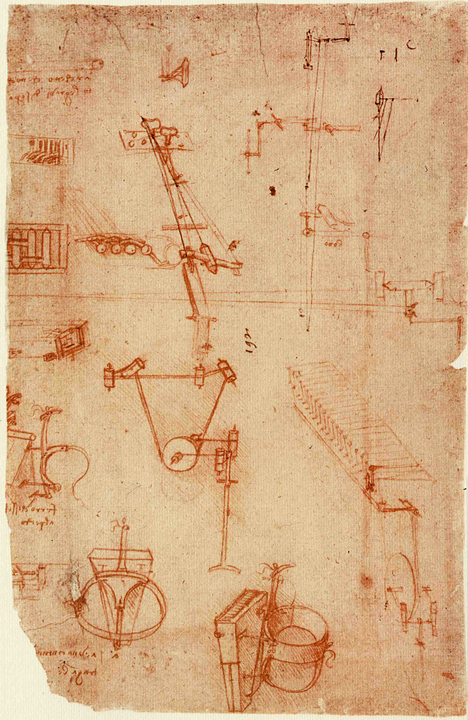 The schematics were found among the flying machines and anatomical sketches of one of Da Vinci’s 15th century notebooks. Zubrzycki showed off his impressive sound machine at the 5th International Royal Krakow Piano Festival last month. It’s hard to decide which is more beautiful – the organista’s sound or design. See more in Antique Gadgets or under Vintage & Retro. December, 2013.